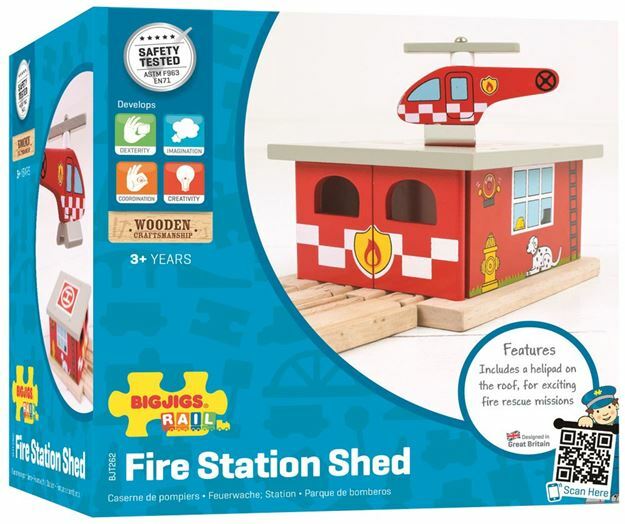 The Bigjigs Rail wooden Fire Station Shed is the perfect addition to help keep your railway network safe. With working doors, there is room for two engines to be parked inside. Includes: a fire station shed and helicopter. Age 3+ years. Compatible with most other wooden railway brands. Distributed in New Zealand by Holdson.